Coldwater Crossing - Stunning 4 BR & 2.5 BA sweet home at Pulte Coldwater Crossing Community in Parkland! Customized w/ nearly $100,000 worth of Upgrades throughout the home above builder’s base model. Front elevation, 9’ ceilings, maple hdwd flrs w/ Mahogany inlays. Flr to ceiling windows in 2 story fam rm w/ gas FP, crown moldings, chrome lever dr hardware, wrought iron, imported Italian tile, Brazilian teak, Eurofase lighting & much more add to the overall appeal of this home. Completely custom maple KIT w/ marble flr, lrg pantry ,Brazilian Gold Rustic Granite counters & back splash, & SS appliances. French dr w/ retractable hideaway screens leads to outdoor oasis, an 18x33 covered relaxed patio extends into private backyard. 2nd Flr offers lrg master suite w/ tray ceiling, recessed lighting, built-in mirrored custom closet, rain shower w/ body jets, & 2-person jetted corner tub, 3 additional beds. Bath & laundry rm. HOA includes a fabulous clubhouse w/ gym, swimming pool. Vistas at Green Hills - Open House ! 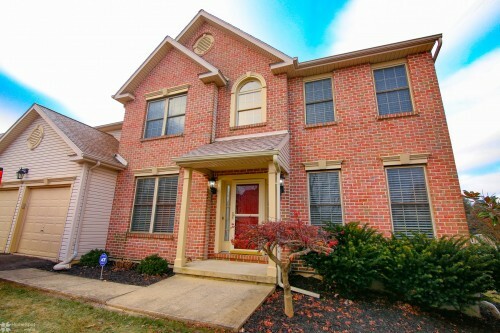 Sat , 1/19 1-3 pm ~ Come see this beautiful Parkland sweet home. 1st level features include an open floor plan w/easy flow, hardwood floors, crown molding & picture frame trim accents. Recessed lighting is abundant on both levels. Great Room is open to the 2nd floor, has balcony overlook, lots of windows, & gas fireplace. Dining room currently used as office, Kitchen has 42" maple cabinets, center island w/ Corian countertops, dinette area sliding glass door leads to 14x12 wood deck w/ privacy wall. Mud/Laundry room lends access to the 2 car garage with openers. 2nd floor has 3 good size bedrooms, 2 baths. Master BR w/ walk in closet, master bath has double bowl sink, garden tub & glass enclosed shower. Full Basement. Economical gas heat & cooking. Hidden Meadows - Hidden Meadows sweet home with finished basement in Parkland S.D. 3 BR 4 Bath Stargrass model & 1 Car Garage. LR/DR Combo with Beautiful Hardwood Floors from the Front Door to the Patio Door.Kitchen has upgraded 42" Cabinets, 2 Lazy Susans, Wine Rack, Upgraded Granite Countertops, Tumbled Marble Backsplash, Upgraded top notch GE CAFE Stainless steel appliances & Eat in Breakfast Area. Family Room with Gas Fireplace.Master BR has a Sitting Area, Walk-In Closet and Master Bath with Double Sink Raised Vanity, Granite counters & Ceramic Tile Floor. 2 Bedrooms, Main Bath & Washer/Dryer complete the 2nd Level. Patio Doors take you to the Deck with steps down to lower level Patio. 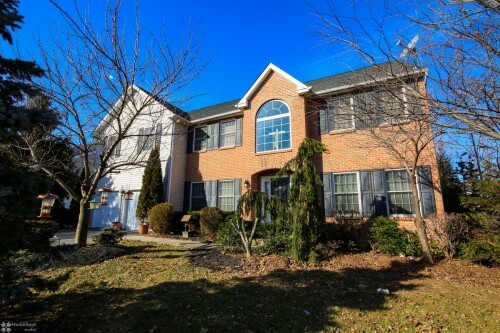 Super Location - Only minutes to Turnpike, I-78/309, 22 and Grocery Stores, Shopping Centers, Schools & Hospitals. *Professional photos /video tour are on schedule and will be upload once received * Come and visit this GEM at open house & you will not be disappointed ! Whispering Farms - You'll find character in this beautiful floor plan of almost 3200 square foot Amherst model home located in highly desirable subdivision of Parkland schools (Jaindl Elementary, Spring house Middle and Parkland High) which is ideal for entertaining w/ easy access to all rooms. The center hall foyer is drenched by the sun and complete with hardwood and flanked by living and dining rooms. Enjoy cooking and entertaining in the spacious kitchen with Center Island, eat-in area and sun room leading to the deck and backyard! Adjoining the very convenient first floor den/study/office.The large family room features Palladium windows and a gas fireplace with stairs leading to the 2nd level. Upstairs, the master bedroom suite includes a huge walk-in closet, sitting area and spacious bath with whirlpool & separate shower. 3 additional bedrooms and an additional bath round out the 2nd floor. Two car garage, 2 zoned heat system and first floor laundry room complete this sweet home. Parkland Fields - Welcome to this impeccably kept 2,900 sqft Paramount model home located in the highly reputable Parkland Fields Community. Only minutes away from all major highways and the sought after Hamilton Crossings shopping district it is warm and inviting. Upon entering the main level you are greeted with an easily accessible open floor plan which leads you to a beautiful kitchen with granite countertops and large center island. The main level including the family room and eat in kitchen are gleaming with natural light from the oversized windows throughout the home and a sliding door leads to an expansive Trex deck that is perfect for entertaining and relaxing. The second floor opens up to a spacious multi-purpose loft area. There is a luxurious mater suite that is complete with a large walk in closet and double vanity bathroom and three additional ample sized bedrooms with a hallway bathroom. A loving home that has everything you desire! 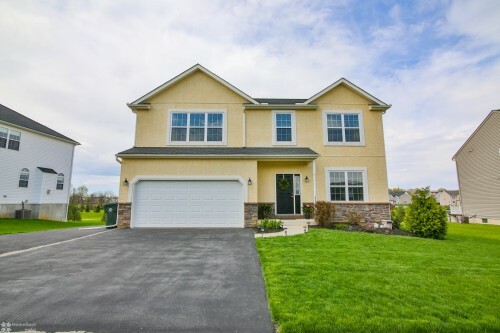 Mountain Glen - Situated in a friendly community with a great school system sweet home, just minutes from Interstate 78 and Shoppes at Promenade. Wake up each morning to awe-inspiring and stunning views of the mountain to the North and woods to the West. Formal living room & dining room lead to generous kitchen, family room & morning room. Entertain in your gourmet kitchen & morning room w/ expansive island, granite & SS appliances and hardwood floors. Relax in an HUGE family room w/a gas fireplace. A main floor office/playroom & full bath as well. Upstairs - 4 large BR’s, a common "loft" space can be used as kids play area & laundry room. Oversized Master bed room with an upgraded suite w/2 walk in closets - huge shower & garden tub. 4 spacious Bedrooms on the second level. Then down to the walk out LL entertainment area / play room / man cave / media room! Another Bedroom / office & a 4th full bath! Walk-up stairs provide easy access to the backyard from the basement. All this on a cul-de-sac lot. Springwood Hills - Open house ! 2/17 ~1-3 pm ~ Fall in love with this open concept flr plan, high ceilings & upgraded throughout Home Sweet Home ! Conveniently located within the desired Spring Wood hills development parkland schools & within walking distance to Trexler park & Wegmans! 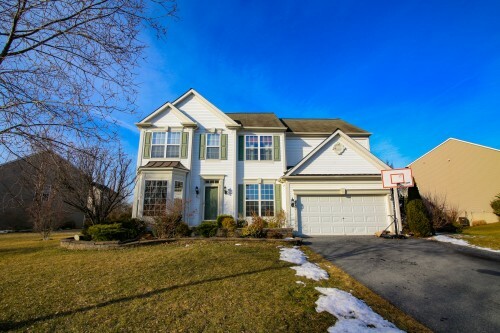 This incredible 4-5 bedroom colonial's 1st Flr Features a 2 story Foyer w/ Hardwood Flrs leading to the 2 story family rm with gas fireplace & wall of windows, dining rm, living rm & 1st flr office or 5th bedroom! Open Kitchen has white color cabinets, granite counter tops & Breakfast Rm with new Pella slider leading to the rear paved patio with patio lighting & professionally landscaped yard! 2nd Flr Boasts a stunning Master Bedroom Suite featuring a Customized Walk In Closet & on Suite Master Bath w/vaulted ceilings. In Addition there are 3 More Bedrooms & another Full Bath! Exquisite finished walk out basement with full bath! 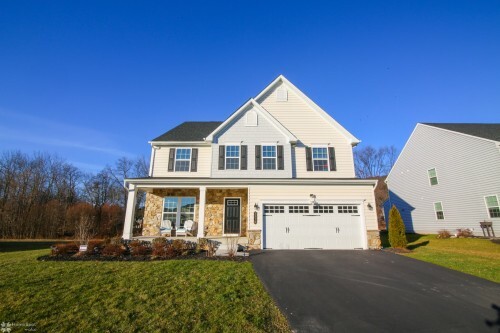 Stacked stone wet bar, theater area, extra storage & more!A truly sweet home of your dream ! Springwood Hills - Make Your First Step Toward Better Living . Beautifully renovated and manicured from top to bottom colonial dream home ready to accommodate the needs of any family . 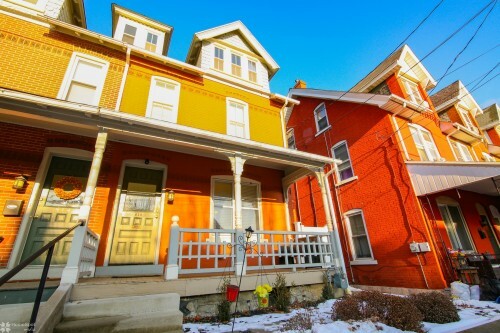 Convenient first flr living handsomely redesigned with full bath & BD . Sun drenched LR with soaring ceilings and cozy FP. A dazzling KIT with every convenience built-in & the whole group can sit down and eat together plus formal DR. Entertaining in this home will be a joy. Upstairs with 4 spacious, airy BD and 2 full bath give privacy. All flooring replaced with new to reduce allergy issues. Large backyard lot with space galore for back yard play offering privacy from anyone driving by.Great location in proximity to hospitals, the neighborhood’s walking paths and short walking distance to Wegmans grocery store, and for its location in the Parkland School District. Moreover, Cetronia Elementary School is located on 37th St & is a short 3-minute walk from the house. See for yourself the attached video to appreciate it ! The Vineyard - Welcome to this one of a kind charmer. At a generous 4,300 Sq. Ft, this custom built dream sweet home is located in prestigious Vineyards community .This Augustine model home was built to last by the renowned Castle Builders. This meticulously maintained property has impeccable, eye catching curb appeal with well-manicured lawn & a spacious patio as well. When you step inside the front door,you are greeted by a grand two story foyer leading to a warm/welcoming main level, features gleaming hardwood flrs & crown moldings. There is an office, powder rm & formal living, fam rm w/fire place.There is also a custom gourmet kitchen w/ granite counter tops, solid maple cabinets & high end stainless steel appliances. The grand dual staircase leads up to the three bedrooms & master suite which are all spacious & bright. The luxurious master suite has a cozy sitting area, his & hers closets & a bathroom complete w/dual vanities. This home has everything you desire & much more! Come take a look!